Apollo, the messenger of the Gods, would have appreciated the comfort of these pieces. The Apollo Seating group was designed to fill a void for upscale, elegant public seating for the hospitality or corporate seating market. Classically modern in style, they are offered with stainless steel legs and apron in polished or satin finishes. Available in lounge chairs, independent or modular sofas and pull-up chairs, high or low arms. Base: 1” square tubular stainless steel with nylon floor glides. 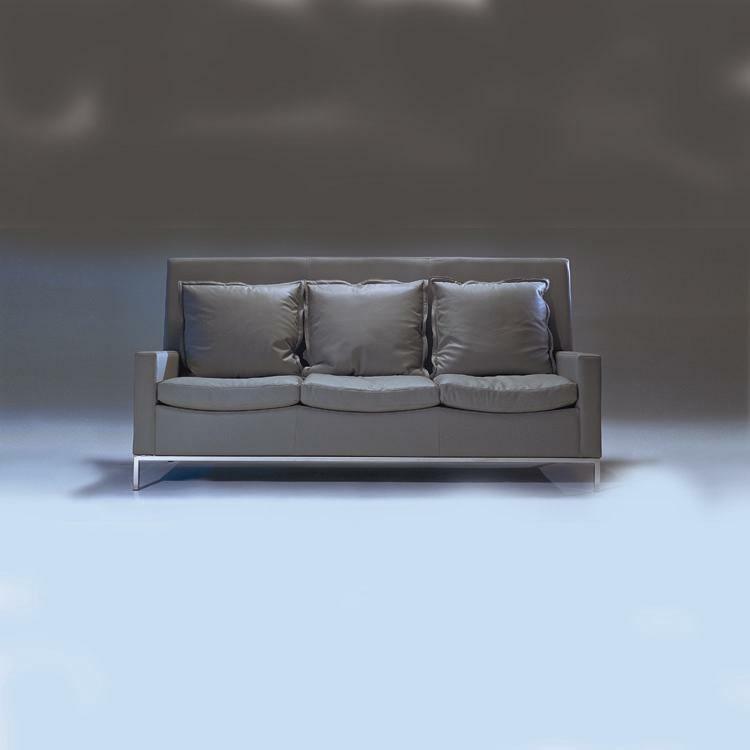 Upholstery: Available in all Brueton leathers and fabrics, as well as COM or COL.
Base: Available in polished or satin stainless steel or acid washed gray finish.